A fighter jet lost an engine over the Bering Sea. A voice from afar guided the pilot to safety. When a fighter jet lost an engine over the Bering Sea last summer, the quick thinking of an Anchorage air traffic controller hundreds of miles away helped bring two U.S. Marine pilots home safe, and earned the controller a national award last month. On July 25, 2016, Jessica Earp was monitoring 20 to 30 aircraft in two sectors of sky over the Bering Sea between Alaska and Asia when one of those pilots lost an engine and declared an emergency. 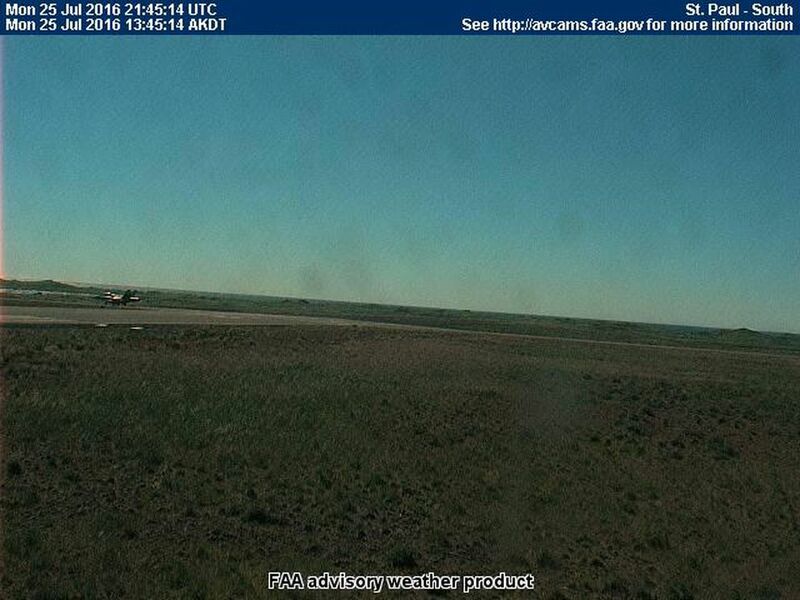 About one aircraft a month reports losing an engine in flight to Earp's control facility — a Federal Aviation Administration building off Boniface Parkway known to pilots as "Anchorage Center" — but most of them are three- or four-engine cargo jets. This one, however, was a Marine Corps F/A-18 Hornet fighter jet, making its way from Eielson Air Force Base near Fairbanks to a training exercise in Asia. The pilot, Capt. 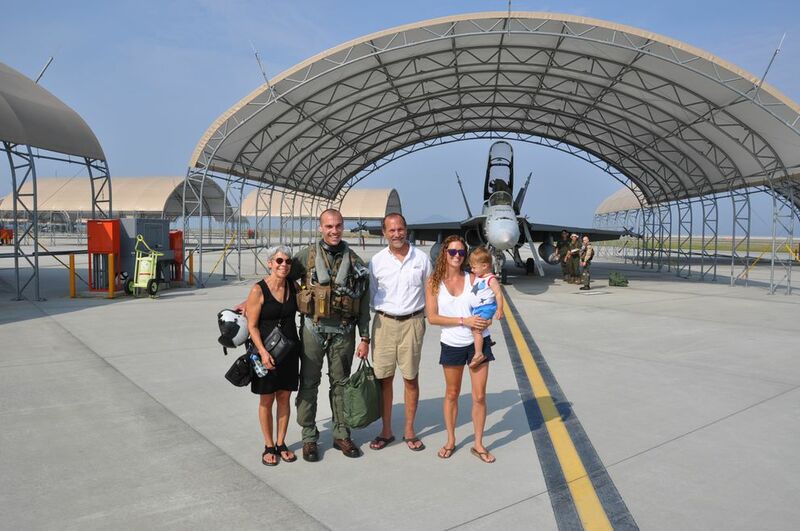 Jesse Simmermon, turned his aircraft back toward Alaska, with another F/A-18 accompanying him. Both were running low on fuel. A tanker aircraft traveling with the jets was refueling another Hornet in the flight group and couldn't break away, according to an account of the situation from the National Air Traffic Controllers Association. Earp said the tanker tried circling back to reach the two F/A-18s. But by that time, the jets were too far away, the NATCA account said. "When (Simmermon) started asking, 'Where is the tanker, how much farther is it?' I started to hear the catch in his voice," Earp said, recalling the incident in Anchorage Thursday. Soon the engine failure forced the Hornet pilots, with the Marine All-Weather Fighter Attack Squadron 242 based in Iwakuni, Japan, to a lower altitude. "We cannot maintain (36,000 feet)," Simmermon said over the radio, according to a recording released by the FAA. "We are in a full descent." Earp said the Hornets were planning to land at King Salmon – still 550 miles away. But she had a different idea. "There's an airport about 80 miles to the southeast, St. Paul," Earp radioed Simmermon, according to an edited transcript. "I can get runway distance, if you need, and conditions." "Affirm," Simmermon promptly replied. "We need all that." Within seconds of Simmermon's request, Earp quickly and calmly relayed the information he'd requested, along with a vector from their current location to the island's airport. Despite dismal weather at other airports across the region, the skies over St. Paul were so clear that the Marines had no problem spotting it. "It's a needle in a haystack," Earp said Thursday. "It was the only viable airport in the Bering Sea he could have landed at." "I will never forget the cool, calm and collected voice which politely suggested that we consider making a landing at St. Paul," Simmermon later wrote in an email thanking Earp. "Myself and my wingman were able to visually acquire the small island from over 40 miles away, and I breathed a huge sigh of relief knowing I had delayed my impromptu meeting with the Bering Sea." Earp remembered her concern rising as the jets descended near the end of the two-hour incident. "That was a pretty intense few minutes, seeing the guy go off radar, then waiting to hear if he was on the ground," Earp said. Soon afterward, Earp said, confirmation of their safe arrival came from an FAA weather camera on the island. Less than an hour after the Hornets were on the ground, Simmermon wrote that the weather had taken a turn for the worse. Earp's handling of the situation earned her the Archie League Medal of Safety Award, named after the first air traffic controller and reserved for members of the profession whose work saves lives. 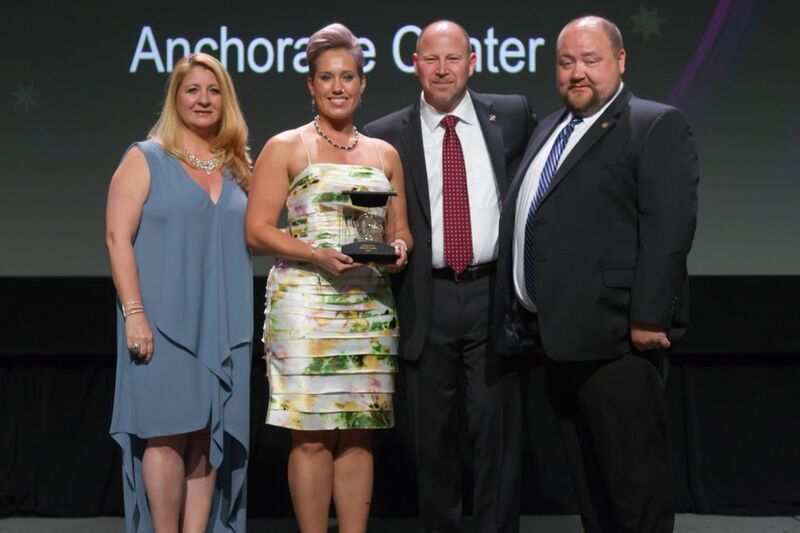 She received the Alaskan Region award at NATCA's convention in Las Vegas last month. Earp, an eight-year veteran at the Anchorage Center, said that she's dealt with roughly one in-flight emergency each year – none of which compared to Simmermon's. "Your reaction is just to give the pilot everything that he's requesting and that he has whatever he needs," Earp said. "It's a normal possibility, but when push comes to shove you buckle down and you do what needs to be done." Asked about her next step, Earp said she's planning to stay right where she is. "I think the stress comes," Earp said. "It's a part of the job, but just working traffic, there's nothing like it."